Dealers offer interest rates that are competitive with traditional lenders like credit unions and banking institutions. Conducting all your business in one location is convenient and saves time. You can shop for a car, find one, finance it and drive off the lot all at the same place. Dealers can shop your credit profile to numerous lenders to get you the lowest interest rate for your financial situation. Dealerships have more flexibility in negotiations than banks. There are often hundreds of dealerships from which to choose in any given community, so it is wise to research potential candidates before shopping. Advice from friends or coworkers can help you narrow your search. Whether you are looking to buy a particular make, like used Toyota cars for sale, or are focused on vehicle features, you can be certain that there is the perfect pre-owned auto out there for you. 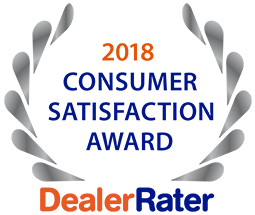 For a wide selection of premium used vehicles, reasonable car loans in Wentzville and well-informed staff to guide you through the car-buying process, visit 5 Star Auto Plaza. We are proud to be the St. Louis area number one choice for used car buying. Call us today at (636) 940-7600.